Aerial photography; Kanturk viewed from above the road from Banteer. 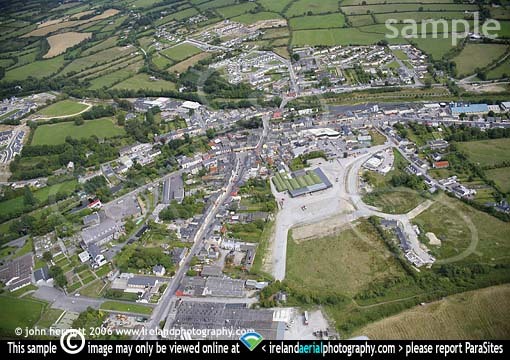 Kanturk; Aerial photography of town. The most prominent road pictured here from the base of the photo into the centre is the Banteer road, also shown here are the converging Dalua and Allow rivers.